The second of the three dates of Patrick Wolf’s Italian tour has been programmed for Friday 2 December in the Cattedrale area of the Fabbrica del Vapore in Milan, which is currently hosting Anish Kapoor’s site-specific installation Dirty Corner. Organized by the American art-production society MADEINART together with Uovo e Concerto, this acoustic concert with various and original musical instruments will underline the original and sophisticated aspects of English pop star in the unusual venue of the Fabbrica del Vapore. This is where Anish Kapoor’s site-specific installation Dirty Corner is to be found, a work sponsored by the Milan city council and MADEINART (until 8 January 2012, curated by Gianni Mercurio and Demetrio Paparoni). In fact, his new album Lupercalia – recorded in the legendary Air Studios and already considered his best work to date – involves a strange mixture of instruments where the duduk and a crystal baschet glass harmonica combine with wind instruments, brass, choruses, and strings. The album was preceded last year by a single, Time of my Life, which the Guardian said was not just the best of the week but was causing shock waves in the classifications of the year’s singles. Prince, Soft Cell, The Smiths, and Pet Shop Boys, as well as Suede, Pulp, and Blur: Patrick Wolf embodies the spirit of all these legends – though of course staying faithful to his own brand of originality – in a career that has not always been linear but that has always been inspired by the curves and hairpin bends of his extraordinary life. 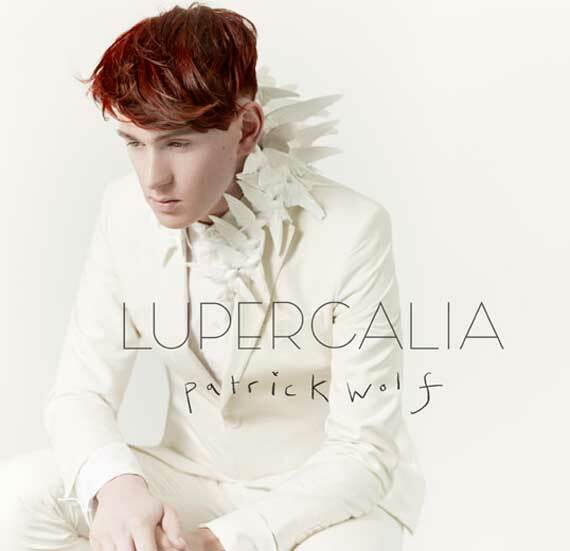 Born in South London in 1983, Patrick Wolf began to record songs at the age of 11. His debut album, Lycanthropy, was issued in 2003 and was at once a success with the critics. His second album, Wind in the Wires, came out in 2005. In the same year he began to record what today is his most commercially successful album, The Magic Position (2007). His fourth album, The Bachelor, came out in 2009, financed by his fans, and was greeted by critics worldwide as a masterpiece. After the album had come out, the iconic American artist Nan Goldin commissioned him to compose the soundtrack of her film The Ballad of Sexual Dependency. In recent years Wolf has collaborated with artists of the calibre of Florence Welch, Eliza Carthy, Marianne Faithfull, Tilda Swinton, and Patti Smith.